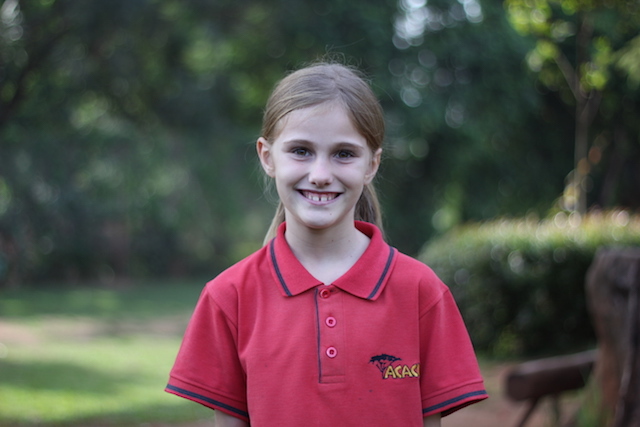 It seems impossible that I have been in post at Acacia for nearly two years. Many of you will remember that I was asked to take on the role of Principal and set up a senior school and that is just what I have been doing for the last two years. I have had the privilege of building a team of teaching and non teaching staff made up of Ugandans, Kenyans, South Africans, Ghanaians, Americans and me the token Brit. It has been tremendously hard work and yet I know God has called me to be there, to persevere in the tough days and rejoice in the easier ones. Notable milestones this year have been training teachers via online P.G.C.E (Post Graduate Certificate of Education) programme, appointing more excellent staff and having the first round of students sit their IGCSE exams. 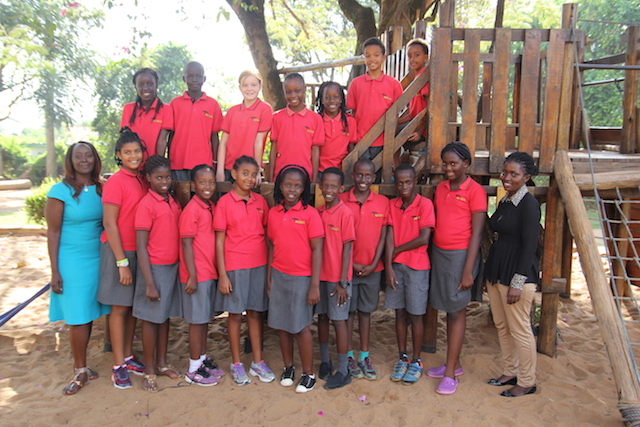 The challenges remain the same...meeting the educational expectations and demands of an international community ( about thirty different nationalities at the school) keeping Christ at the heart of what we do and continuing to strive for excellence, always. As the summer break arrives I am breathing a sigh of relief, keen to find rest and build sand castles on a soggy beach somewhere in Norfolk and squeeze absent family and friends very tightly indeed. 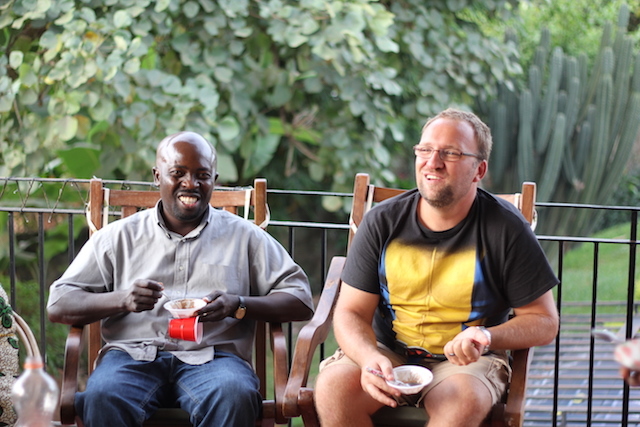 Paul Ofei-Manu and Chad Neeley (Maths Dept). The female elephant slowly raised her trunk, sniffed the air and let out a bellow. Her eyes were wild and she was obviously still disorientated. After and few more sniffs she raised herself up onto her knees and rocked backwards and forwards unsteadily. The effects of the sedation were wearing off but they were still limiting her getting up and the longer she stayed down the more likely her muscles would weaken to the point where she couldn’t get up. The team stood back at a safe distance. We were all willing her to get up. With a sudden burst of energy, she rocked backwards a forwards another couple of times and rose to her feet. We all cheered and smiled with relief at each other. The elephant shook herself, lifted her trunk again then wandered off between the palms to join her family group. 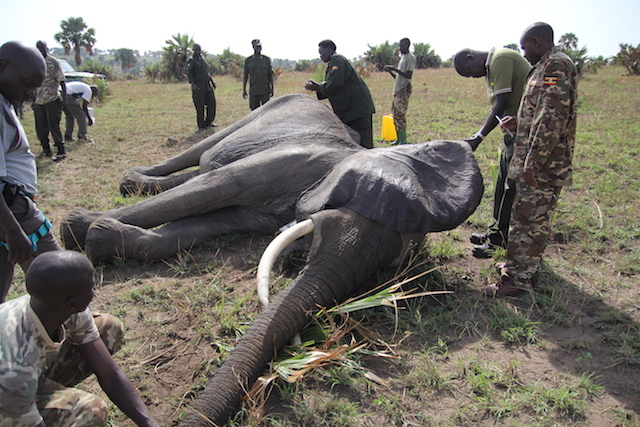 A few weeks back a friend from church, who works with the Wildlife Conservation Society (WCS), asked if I’d like to help with darting and replacing of radio collars on Elephants in Murchison Falls National Park for a week. It didn’t take me a second to agree to it! 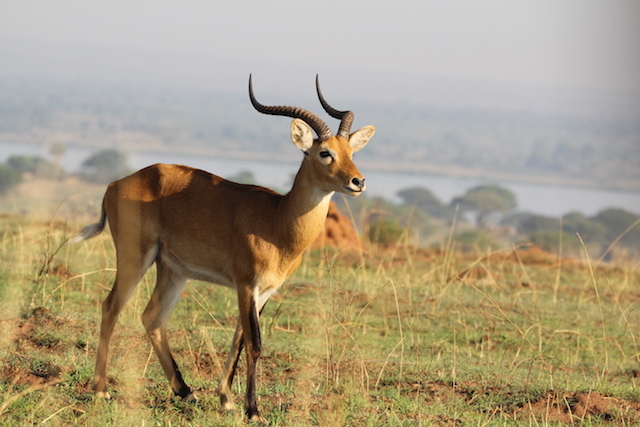 We would be working with a team of Uganda Wildlife Authority (UWA) vets, experienced with darting and with a helicopter pilot. A number of elephants had been collared by WCS and UWA before to monitor their movements and feeding habits in the park. The batteries on these collars last three years and they were close to running out. We arrived on a Wednesday and met Russel the helicopter pilot. 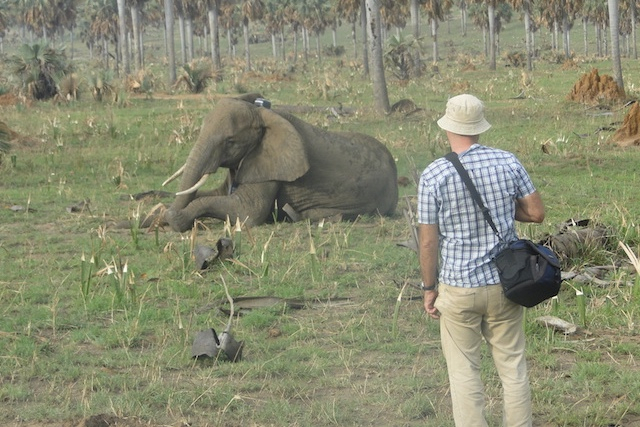 In the afternoon we went out tracking the elephants on the ground with Mustafa, one of the WCS staff. The collars have VHF radio and satellite transponders. Satellite fixes had been obtained from 4-6 hours before. Using these points, we drove to that location in the park then use the VHF to get closer to their direction. The VHF signal was a faint beep noise that grew stronger when the right direction was found. Each individual elephant had their own frequencies. 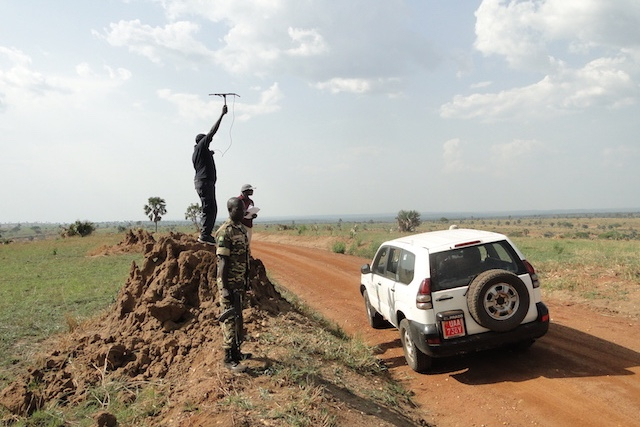 When we found a strong signal we followed that direction until we sighted a group of elephants. This often meant for some pretty rough driving off road in the park. 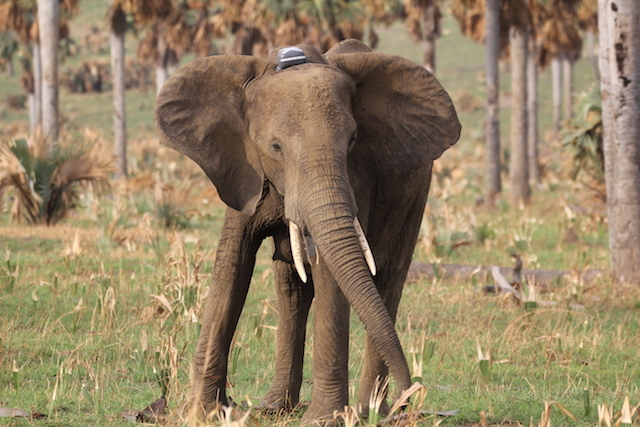 Once we got close we used binoculars and zoom lenses to spot the elephant with the collar. At that point the rest of the ground crew and the helicopter were called. 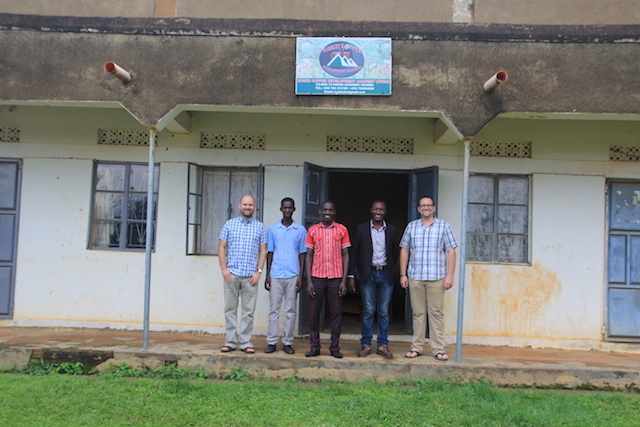 The ground crew consisted of more WCS staff, Bosco and Joshua, and UWA rangers and vets. There was another WCS vehicle, 2 UWA pick-ups and a large old UWA truck. The UWA truck was used to scare away other elephants when the darted one went down. The helicopter had Russell, Geoffrey and Dr. Patrick inside. 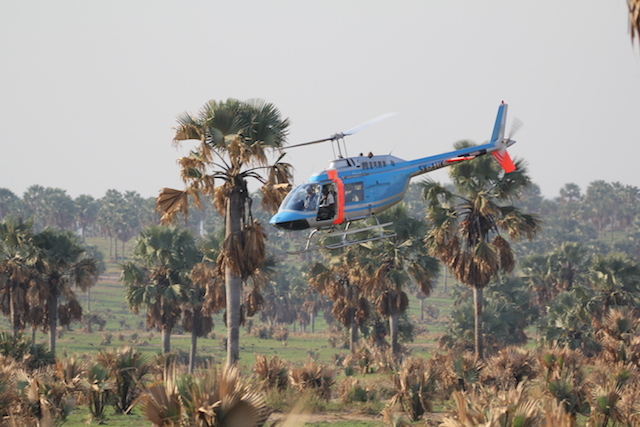 The helicopter made an impressive sight as it swooped between the Borassa Palm trees, herding the elephants into the right spot. Dr. Patrick was experienced with the dart gun but conditions were difficult on the first day. He tried to dart 2 elephants but missed. A flock of migratory didn't help the helicopter, as they flew up into the air in a cloud when the copter entered the valley. Russel explained afterwards that it was a close call as he had to pull up right away. On the second day we found a female with a collar and tracked her. The ground crew were called and the helicopter came in. All were delighted when the dart went in and the elephant went down. The trucks moved in and the collaring team went to work. First, the old collar was hacksawed off. The new collar was pulled through under the neck with a wire. The transponder sits on the top of the neck and is kept in place by a counter weight, which hangs under the neck. The counter weight was secured by bolts through the collar. The bolts were tightened with a spanner, then cut short with a hacksaw. They were part cut then twisted off with pliers for speed. 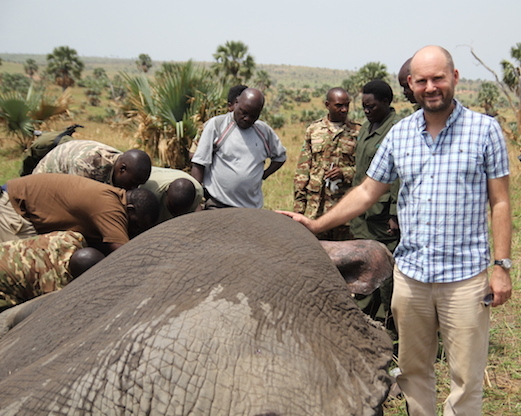 At the same time as the collar work, another team was taking measurements of the leg, feet, spine, trunk and tusk length. In addition, blood samples were taken from the ear vein and a skin biopsy from the ear was taken. An injection was given to assist breathing and a covering antibiotic was also given. When the various teams were finishing, this was communicated. The reversing agent for the sedative was given intravenously from two syringes into the ear veins. The team beat a hasty retreat as soon as the injection went in. we hopped in the vehicles and watched. Within moments the elephant was up on her feet, but we were already driving away slowly. The teams worked as a well-oiled machine. They were obviously very well practiced with darting and collar replacement. I was able to help with some measuring and documenting of the process. It was amazing to get so close to these massive animals in the wild. Three female elephants were collared on the second day, including the one described above, who had gone down on her chest, which was a less idea position. Over the week fifteen elephants were collared. Some were new candidates; the rest were ones who had pre-existing collars replaced. 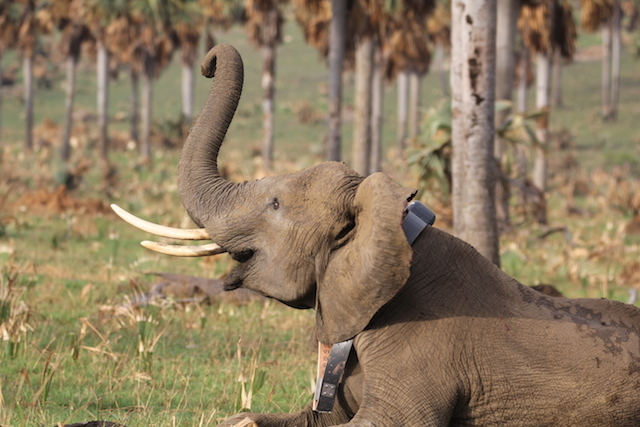 The information from the collars was to be used by WCS and UWA to track how the elephants moved, especially as there had been reports of bull elephants raiding local farmers’ crops in the North of the park in the north due to crop raiding. It was a fantastic chance as a vet to be involved in this process, but was also useful to meet the UWA vets and hopefully foster contacts for future work experience opportunities for students. Tracking with a ranger. The helicopter swoops in. The vets do their final checks. Waiting for recovery. 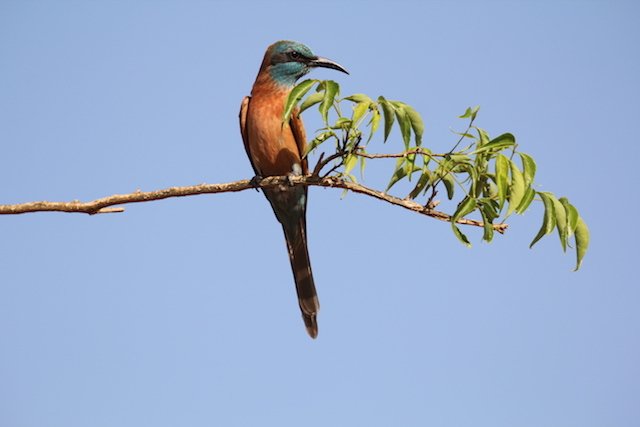 Another recent trip was with my colleague, Dr Daniel Graham, to the West of Uganda. This time we were to go to a town, close to Buhoma, where we visited before with the rabbits, called Kihihi. 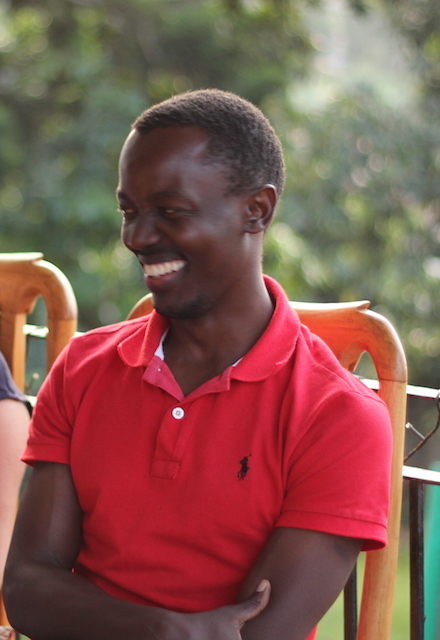 Daniel had a contact in Kihihi, a young man called Joshua, who had started a community project with friends to support the local coffee growers’ association. Drinking coffee is a favourite activity for Daniel and I but growing it is not our expertise. However, the coffee growers were asking for help with diversification, namely pigs. 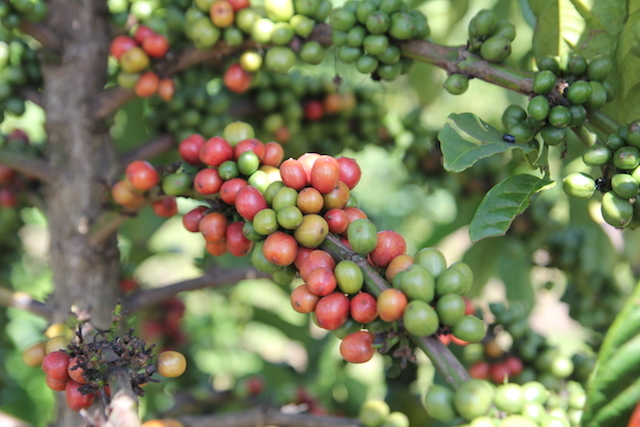 Coffee is harvested and sold at two times in the year. The small coffee farmers were missing out on the best prices for their crop by harvesting and selling too early. The green coffee cherries, reach a much lower price than the riper red ones. Cash flow problems and the needs of life were meaning that too many growers were having to harvest early, therefore losing out on price. Joshua’s idea was to start a pig unit to support the coffee growers. 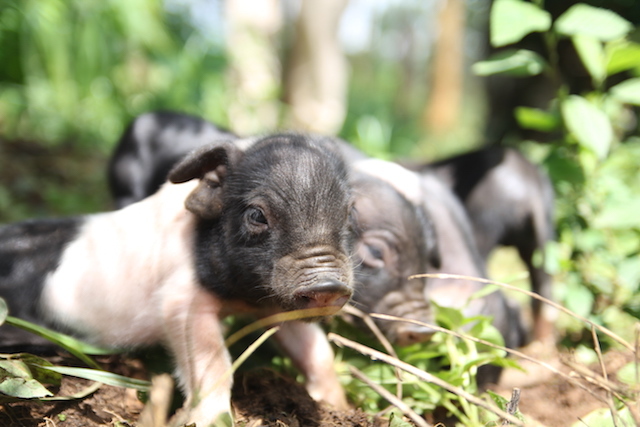 Once the breeding pig unit was up and running, he would distribute pigs to the farmers to breed themselves and therefore supplement their incomes and thereby delay harvesting the coffee. This visit was a chance for Daniel and I to discuss with the members of the community project how God has given us all a responsibility to look after the animals he has created and we were able to go through some principles of sound pig production. Housing, feeding and breeding were all discussed. We made a site visit and looked at the preferred position for the buildings. As we were close, we took the opportunity to visit Buhoma and the communities that had received rabbits and pigs last year. It was encouraging to see the pigs had just reproduced again and had new piglets! The rabbit keepers reported some challenges, which we discussed and hopefully found solutions to, but most still were continuing with the project. Joshua and his colleagues are currently volunteering for the community project and it was humbling to see their heart for their local area to succeed and prosper. Daniel was able to give Joshua a grant to help with the building project and we plan to revisit in the near future to train the members further with pig health management. Brand New Piglets. Coffee cherries ripening. 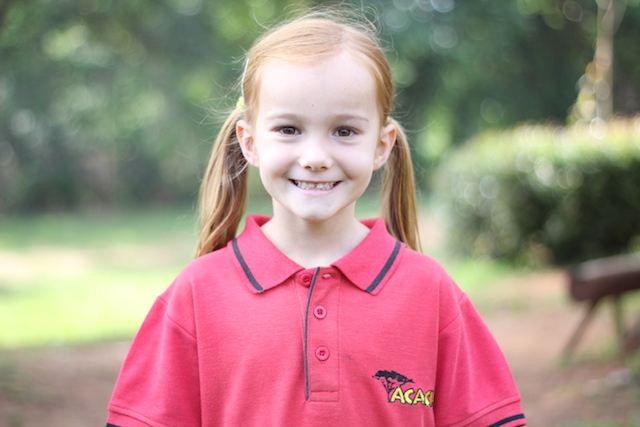 Thanksgiving to God for all that has been achieved this year at Acacia School. Pray for new school buildings that are needed as the school expands. Pray for safety as students and staff from the school travel this summer. Pray for new opportunities that have been offered in clinical teaching for James at the University, that it would be the right direction and God would use him there. 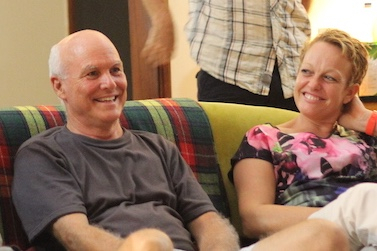 Pray for great times of reconnection with friends and family this summer and a chance for rest. The sedated elephant waking up. Back on her feet!